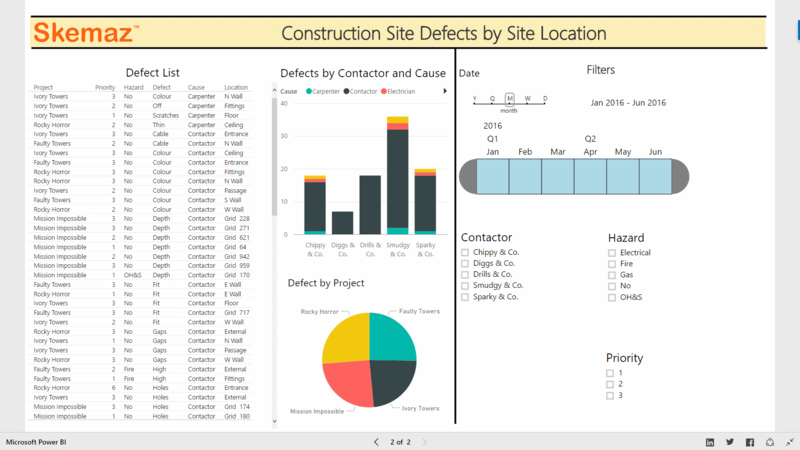 This Punch List Dashboard example below is a "Custom defect dashboard report" that we create for our customer to reflect their individual reporting requirements. Give it a test drive to get a good idea of what we can create for you directly from your own Excel data. The data behind this sample Construction Defect Inspection Report is an Excel Spreadsheet that you simply share with us. The defect or site inspection data that you collect onsite is available in real-time to deliver actionable insights that allow you to make better decisions more quickly and take action on issues before they get out of hand. If you also would like a Custom Punch List App, we simply transport your reporting and excel data into a Punch List App that accurately reflects your dashboard reporting requirements. When you're ready for Online Punch List Dashboard Reporting, we transform your Excel or spreadsheet data into Stunning Live Dashboard Reports, contact us and we'll be delighted to be of service to you.